an extreme language learner has a more-than-random chance of being a gay, left-handed male on the autism spectrum, with an autoimmune disorder such as asthma and allergies. Maybe so. That’s just statistics; what specifically is an “extreme language learner”? 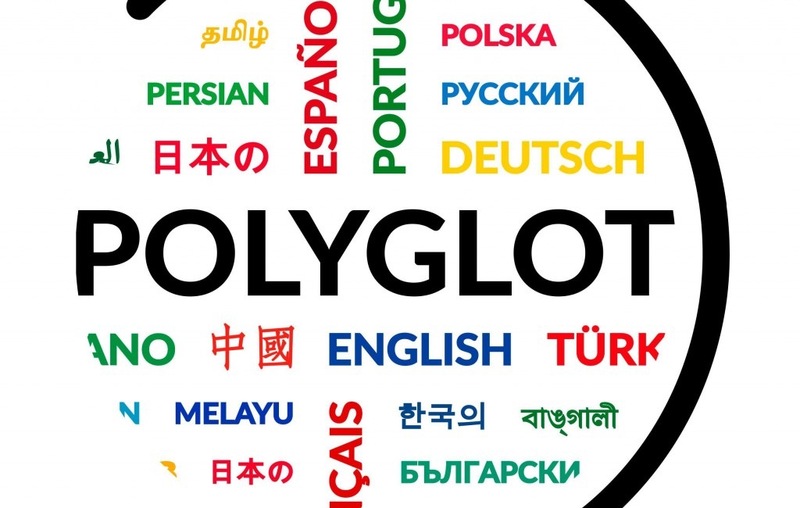 The technical term is hyperpolygot, and the somewhat arbitrary definition is that it’s someone who knows 11 or more languages. We need to dig in deeper. Let’s avoid two extreme points of view. At one extreme we have the naive approach that language equals vocabulary. Some people think that learning a language means learning the vocabulary and little more. Yet we all know how incomprehensible someone can be if they know the right words but have no sense of syntax, idiom, etc. So we don’t want to say that a hyperpolyglot knows the vocabulary of a lot of languages, and stop there. That standard is much too low. The other extreme is the sophisticated approach of many linguists who believe that you have to be able to speak a language like a native before you can be said to know the language. That standard is much too high. Two recent sources have discussed this issue. The first is an article in the New Yorker; I want to say that it’s too short, though surely no New Yorker article is too short. The second source is an entire book, Babel No More, by Michael Erard, from which I took the quotation above about the typical extreme language learner. The subtitle, The Search for the World’s Most Extraordinary Language Learners, tells you what it is about, and I think the book is too long. I feel like Goldilocks. Can we find a source that’s neither too short nor too long but just right? Maybe not. I came across a study from the 1970s that hoped to find out if the system loaded too many languages on elementary school and high school students. Impressively, 69% of students said in a survey they preferred to learn four or more languages in school. Languages would help their education, get them good grades and jobs, and give them a way to talk to people and enjoy mass media, they said. Only 28% said they wanted to study just three languages. Can you imagine getting results like that anywhere in the U.S.? No, neither can I. At Weston I knew maybe two or three students who studied three foreign languages. And yet people wonder where the stereotype of high-achieving immigrants from India comes from. You can ignore the occasional statistical errors, which don’t diminish the main thrust of the book. For example, consider this odd remark about speakers worldwide: “People who know more than six languages are rare, but not as rare as those who claim to know eleven or more.” Well, of course, since the latter group is a subset of the former! For those who are interested in Myers-Briggs personality typing, note the following datum: most of the high scorers on the Foreign Service Institute’s proficiency test turned out to be INTJs, despite our small numbers in the general population. Yay for us INTJs! When one know 35 languages, the 36th comes without much effort.